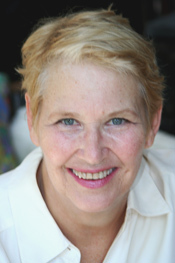 Annie Dillard (born April 30, 1945) is an American author, best known for her narrative prose in both fiction and non-fiction. She has published works of poetry, essays, prose, and literary criticism, as well as two novels and one memoir. Her 1974 work Pilgrim at Tinker Creek won the 1975 Pulitzer Prize for General Nonfiction. Dillard taught for 21 years in the English department of Wesleyan University, in Middletown, Connecticut.